Find the best health insurance plans for you and your loved ones. In contemporary times, there is a lot of fuss in the electronic media concerning health insurance? Have you ever thought about what it is? Well, a little knowledge is always dangerous. So, first things first, you need to understand the concept of health insurance as a service. Simply put forward, it is a form of service, which safeguards you from paying huge bills in case of a medical contingency. It decreases the odds of paying huge bills if you fall sick or have an accident. All you need is to deposit smaller amounts periodically, i.e., premiums in exchange for the insurance company’s promise to pay the cost of treatment in the event of something unexpected. God forbids, but if you must spend a day or two in some of the reputed hospitals in India, it can cost you in lakhs. Health insurance can shoulder the majority of the expense or even the full-cost protecting you and your dear ones from unanticipated medical bills. Top-ups / Super top-ups - These plans come handy when the threshold of existing cover is already used or exhausted. Dreaded disease / Critical illness policy – This policy provides the benefit only if one gets the specified disease or group of diseases named in the policy. Global Health Plan – This plan is available for Indian citizen travelling outside India for business or holidays or employment or studies.  The plan covers the risk of accident and sickness benefits. These are the package products with a range of covers within one product. (A) Expenses e.g. Individual or family health insurance policies will make you eligible to claim a cover in the event of hospitalization due to illness and bodily injuries sustained in an accident during the tenure of the policy period. (B) Pre-hospitalization Expenses e.g. examination, tests, medication etc. incurred by you before your hospitalization. (C) Post-hospitalization Expenses incurred on follow-up visits, consultations, therapy, medication etc. after your hospitalization. At present insurance companies, provide micro insurance policies starting from INR 50,000 and its upper limit can reach to INR 50 lakhs whose tenure can vary from one year to lifetime coverage.